Turning the tables into texts. 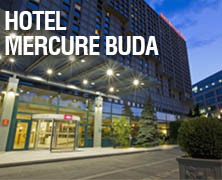 Generating hotel descriptions automatically – Papp Kornélia, HolidayCheck | Budapest BI Fórum 2016 | 2016. október 25-27. Kornélia Papp is a Natural Language Processing Engineer in the Content team at HolidayCheck AG Switzerland. She currently focuses on content generation and enrichment in NLP-driven products. She previously worked on several projects developing language technology applications in the area of data analytics and machine translation. Before joining HolidayCheck, she was working in the Speech Technology Industry developing synthetic voices. Kornélia holds a PhD in cognitive linguistics and has more than 10 years’ experience in language technology. She is an active member of the Python Meetup Team in Zurich, Switzerland.